Health 2.0 has developed a global presence, beginning in the United States and expanding first to Europe, and Asia. Begiinning as a relatively small meeting it has grown exponentially. The geographic diversity allows 'techies' in a wide variety of locations and cultures to meet and translate ideas as well as market to potential users. It serves well as a '"thought tank" for mobile health, consumer directed Many software development occurs at these meetings. Health 2.0 India is the most recent iteration of the exposition. It begins on February 7, 2014 in Bangalore, India. India has unique demographics and geographic criteria. It is heavily rural, with scattered villages, weak infrastructure and other limitations for networks. Rural communities often have no electricity. 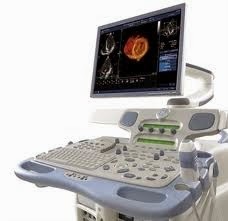 Telemedicine and televideo is highly desireable to spread the healthcare workforce. One advantage is as infrastructure is built, cell phone, cable internet will be built with modern technology including fiberoptic backbone. My good Friend Boris Gorelik from Brooklyn, NY had a grandson born at 24 weeks. His medical expenses will be very high, and I wanted my readers to help in any way they can by following the instructions above. 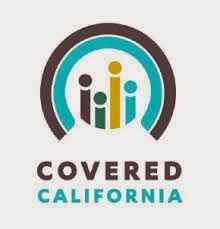 For many people enrolling in Covered California this may be their first time in many years to enroll in any health insurance plan. For some it may be the first time they have qualified to be insured. The array of plans is overwhelming at best and the enrollment program (contrary to President Obama's statemtn) is not user friendly (such as buying on Amazon.com). In fact the process has been made more difficult by this attempt to make health care fit into a business model for shopping. Health Insurance has been like no other, and labelling a web site to encourage enrollment as the "Market Place" demeans the process further. It equates health along with such things as a meat packing plant, and a piece of steak. Although statistics can be misleading and subject to interpretation , this attempt to rank plans is a starting point for 'newbies'. Nevertheless in order to assuage critics of Obamacare by pretending to offer quality comparison Covered California has listed their 'ratings'. Several articles have appeared, one in the San Diego Union Tribune, which stated that the two plans in San Diego which rated the highest were Kaiser Permanente, and Sharp Health Plan. Sharp and Kaiser each got four stars, one better than Anthem Blue Cross and Blue Shield of California. This applies specifically to the San Diego region. This is a truly unique area in terms of Kaiser and Sharp Health Plan for which there is no equivalent plan in other regions of California. There are several organizations that rate health insurers based upon selected criteria. NerdWallet devised the Easy Index, which ranks each company as Easy!, Decent, or Painful, based on our experience calling each company and health plan data from the National Committee for Quality Assurance (NCQA’s Private Health Insurance Plan Rankings 2012-2013 and NCQA’s Medicaid Health Insurance Plan Rankings 2012-2013). NerdWallet Health's ranking differ significantly from what Covered California rated. NerdWallet Health offers their criteria for ranking. This is a beginning for some. For many assessing co-pays, deductibles, and benefits will be more of a challenge, especially those on subsidized plans who were previously covered by Medi-caid. It is unclear to me whether Medi-caid will upgrade their coverage, provider lists, or hospital eligibility. I wrote in several posts why Obama Care will be de-constructed by the American Culture for many reasons. Eventually it will be re-constructed in a manner consistent with the American Cultual beliefs, which will avoid intruding on basic Constitutionally guaranteed freedoms. (regardless of what the Supreme Court has ruled. Vital Signs Diminishing for Obamacare Is Life Support Imminent? Death Spiral ? Is this the Black Hole for the Affordable Care Act? Will the Affordable Care Act Overwhelm the Health System? There is no reason why employer group coverage cannot be continued with the caveat that it must conform to not banning pre-existing issues, and eliminating any cap on benefits. Tax code issues regarding health benefits should not have a limit, nor require a threshold of income under which deductions can be claimed. The IRS should be prevented from administering penalties, nor punish using a penalty and/or fine mechanism. Taken together the aforementioned ideas will lead to an end result. Each section must be evaluated against a background of common sense without regard to self-interest in any part of the health system. 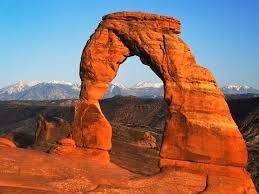 If we want a re-birth of our system we cannot drag along the dysfunctions present in our present system. I would add the aspect of improving the health of our citizens. This may not be properly measured by outcome studies based on reducing costs. The metrics need to be re-evaluated for that component of reform. The underlying and most important goal is to improve access and quality of care. While Obamacare addresses costs, it does little if nothing to improve access. This challenge requires more funding for primary care physicians education and reassess certain specialties now included in primary care listings. Many internist are not primary care oriented, although considered PCP, nor are obstetricians/gynecologists. ObamaCare is the Central Battle over the future Direction of our Country. Richard Reece MD who blogs at Medinnovation has some profound quotes from Thornton Wilder. From it derives the title of this article. Thorton Wilder, a quintessential American writer, the author of The Bridge of Saint Luis Rey, Our Town, The Skin of Our Teeth, and the inspiration of Hello Dolly !. Some of you will disagree with our view of the Affordable Care Act. Wilder was a true patriot – a believer that America had created the most dynamic, creative, individualistic, and freedom-loving nation on earth. Fortunately ObamaCare as it now is written will self-destruct and in the next five years the American Culture will de-construct it. 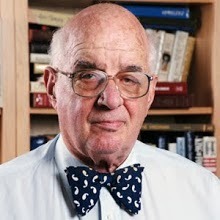 Paul Rosenberg in FreemansPerspective.com in a blog post entitled “Why ObamaCare Will Not Conquer American Culture,” November 1, 2013, in which he says,”Americans expect to choose whenever they want.. Americans expect choices; it is built for individual changes, not collective changes. This is the DNA of the culture, and no matter what political controlling th liberal ruleship, the culture will simply not fall. Grace-Marie Turner, James Capretta, Thomas Miller, and Robert Moffitt, Why ObamaCare is Wrong for America: How the New Health Care Law Drives up Costs, Puts Government in Charge of Your Decisions, and Threatens Your Constitutional Rights (Broadside, a Harper Collins Imprint, 2011) who say, “The passage of ObamaCare was deeply polarizing. Never before had Congress passed - and the president signed into law – such sweeping legislation that was so strongly opposed by so many Americans." Physicians in particular with our ethic of privacy and one on one relationships with our patients will not be misled by this plan which does not justify the means toward an end. We all are adamant about an equitable health care for all. But this is not the way. Take heart my colleagues.....the deconstruction will take place by the very people who put it together.....or they will be gone......voted out of office. Insurance companies, long held in high ESTEEM in the finance world, because of their wide base of investment and astute leadership are beginning to feel the effects of ObamaCare even before they begin paying reimbursements to providers, hospitals, and enrolled providers. Moody's Corporation is an essential component of the global capital markets, providing credit ratings, research, tools and analysis that contribute to transparent and integrated financial markets. Moody's changed the outlook for US health insurers to negative from stable, as implementation of the Affordable Care Act (ACA)continues to create uncertainty for the industry, says Moody's Investors Service in its new industry outlook "US Healthcare Insurers: Outlook Changed to Negative from Stable." The ACA—signed into law in March 2010—seeks to increase affordability of health insurance and expand both public and private insurance coverage through a number of mechanisms including exchanges, mandates and subsidies.Uncertainty over the demographics of those enrolling in individual products through the exchanges is a key factor in Moody's outlook change, says the rating agency. Enrollment statistics show that only 24% of enrollees so far are aged 18-34, a critical group in ensuring that lower claim costs subsidize the higher claim costs of less healthy, older individuals. This is well short of the original 40% target based on the proportion of eligible people in this cohort, says Moody's. 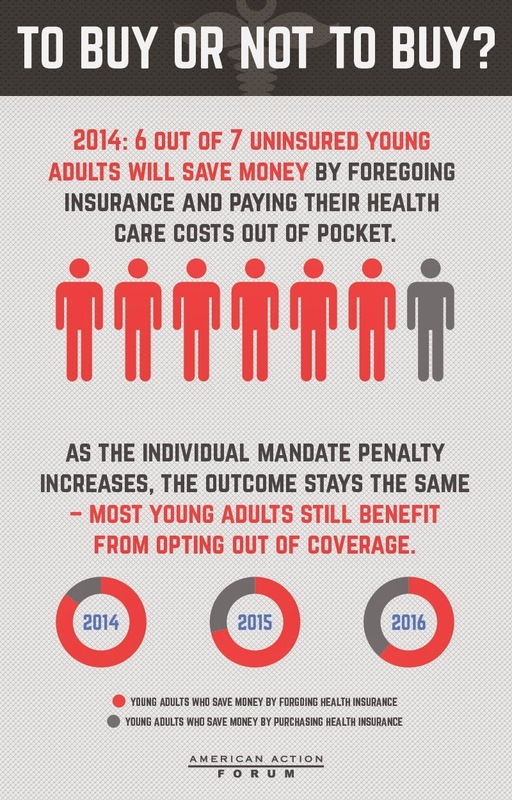 Earlier this week, the conservative American Action Forum released a report which found"that after accounting for subsidies and cost-sharing, 6 out of 7 uninsured, young adult households will find it financially advantageous to forego health coverage, and instead pay the mandate penalty and cover their own health care costs. *A reader points out that there's a difference between a negative outlook and a formal downgrade, which is what I originally implied. 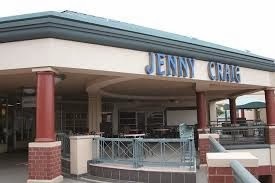 A credit downgrade is likely, but has not yet occurred. Nevrtheless the Perverse Incentives of the Obama Care Act (Affordable Care Act) come into play to increase the shortfall of funding health insurance for all, with no limitations.. 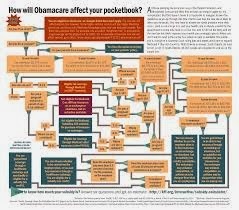 The American Action Forum prints a readable and understandable explanation of how ObamCare is supposed to work. 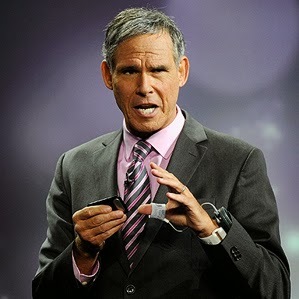 Topol is known for his sounding the alarm about Vioxx a drug which was very popular but carried with it significant risk. He’d had a busy morning seeing patients and, by about noon, was claiming to have already saved the medical system thousands of dollars using his iPhone and a pocket-sized ultrasound machine. Then he pointed to the stethoscope in his pocket and said he hasn’t used it in three years. “I should just throw it out,” he said. “This is basically a worthless icon of medicine.”. This profound statment spoken by a cardiologist articulates what most physician's may already have concluded. Topol is perhaps the most prominent advocate in the U.S. of how digital technology can lead to less expensive health care, and he invited me to see the savings in action. As we lope toward the exam room, Topol, slightly hunched and repeatedly turning to deal with questions flying at him from his staff, seems a little rattled by the commotion and barrage of demands, but a calm sets in the moment he enters the exam room. He folds his arms across his chest as a young colleague updates him on the patient’s history. Topol introduces himself to the 85-year-old man, who has been tiring easily as of late, and then the doctor immediately pulls out his iPhone. Another of Topol’s projects, a collaboration with Caltech, aims to put a wireless sensor into an artery. The sensor would be about a third of the size of a grain of sand, and will stay put and potentially detect an imminent heart attack. It is a 'brave new world" and these devices are only the beginning. Continuing miniaturization of processors, and new developments in materials,nanotechnology, chemistry and physics will drive innovation. These events will radicalize medical education. The fear of 'death panels' may be overaggerated but do pose an ominous warning to us all. The concept of an IPAB (Independent Patient Advisory Board) looms in an uncertain way during these perilous times of intertwining and complex changes to a complex health system. The very recent experience of a child who was declared 'brain dead' exemplifies the problem of determining 'what is death' ? Brian Franklin, left, attorney for Children's Hospital Oakland, and Christopher Dolan, attorney for Nailah Winkfield, mother of Jahi McMath, speaks during a court hearing to discuss the treatment of Winkfield's daughter in Oakland. 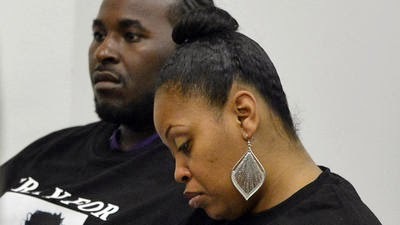 Among those in the courtroom were Martin Winkfield and wife Nailah Winkfield, behind the attorneys. "I am the attorney who answered a call for help from Jahi McMath's family in December. I have represented them for free — starting 10 hours before the first order to turn off Jahi's ventilator at Children's Hospital Oakland — as they have fought for their right to make medical decisions for a beloved child." I applaud Mr McMath who so eloquently discusses the conundrum of family vs a medical system stressed financially and the importance of medical providers and hospitals to act as fiduciaries of their patients. A better title for this may be "Failure to Launch"
Our congress has launched a multi-stage rocket. Whether it will obtain a free standing orbit is open to question. Stage I success is very much in doubt. The velocity may be inadequate to launch stage II and even if Stage II lights off the orbital insertion velocity will be insufficient to obtain an orbit. The lack of success in the enrollment process due to the failures of healthcare.gov and other related items in enrollment of young people may be a fatal even in financing the entire initiative for the Affordable Care Act. This enrollment was meant to offset the expanded coverage for older patients, and increased enrollment of previously uninsured due to income limitations, and patients with pre-existing conditions. Those in the know are already talking about a 'bailout' for insurers amounting to billions of dollars. Again, 'it's too big to fail". Nancy Pelosi was correct, "We won't know what is in it until it is passed" This is a hell of a way to run 1/6th of our economy. Prominenrt voices are being raised in the credible media about these real risks. Even dome Democrats have lowered their flag, although there remain some demagoguery and social engineers who are attempting to hi-jack our freedoms and bankrupt our already insolvent government. Let's face it, our government lies, not only about health care, and politics, but national security issues. Keep and open mind, but verify what we are being told by our government. It's basic, my dear Watson....as Sherlock Holmes would inform his sidekick whose name was Wastson (not the cyber-edition from IBM. When Sharing is *Not* Caring on Social Media! You might think that photographers appreciate it when you share their images online. Believe it or not, this isn’t always the case! There are oftentimes conditions on image use, and you can get into trouble if you are not paying attention. If you are using someone else’s image to spice up your post, you might want to think about it first. But it’s so quick and easy to share social media images, and if it’s online it’s okay to use it right? And especially if the photographer name is already on a photo then there shouldn’t be a problem. Hold on there a minute! 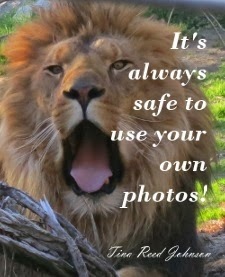 And it's safe to use your own images? Right ? It’s important to follow image use guidelines to avoid violating a copyright, and causing problems for yourself and your business. It can be expensive to pay for your mistakes. You may have to hire an attorney, repair damage to your online reputation, in addition to compensating an artist or photographer for image (mis)use. In the midst of the fury, anger, and frustration with the Affordable Care Act we have been focused on chronic care, outcomes, meaningful use, accountable care organizations, HIT, and coming changes in reimbursement paradigms. The increasing rates of obesity, hypertension, diabetes mellitus, breast cancer. colon cancer sits in stark opposition to acute illnesses, such as flu, otitis media, pharyngitis, bronchitis, pneumonia, infectious gastroenteritis, and the tsunami of routine care, skin rashes, exanthems, pregnancy and it's secondary consequences as well. it's best can be questionable and subject to clinical judgment and years of experience. Given the recent experience with screening for prostate cancer and breast cancer imaging standards were reversed after controversy erupted, and the USPHS did a quick reversal of it's stand on prevention of breast cancer and prostate cancer. While the majority of health costs occur in the population above 55 years of age, this portion of the population is not as active in the economy. Younger patients illnesses effect their attendance and ability to participate in the workforce, at times. This is a 'hidden expense; to the system which is difficult to measure. The initial phases of the Affordable Care Act have caused employers to look carefully at their full-time work force, and will shift to more part-time employment. This will in turn stimulate the Individual Family Plans not tied to an employer group plan. History reveals these IFPs are more expensive to administrate than GHPs. It has been a more than decade long crusade to develop a plan such as the ACA. Some are ecstatic and even euphoric about the ACA to the point of an unrealistic assessment of what the ACA can accomplish. The very worthwhile plan has caused a deep divide between fiscal conservatives, and liberals. What we need is more 'reaching across the aisle and open minds. Both sides must lower the volume. Dr. Noseworthy emphasized the Mayo Clinic has remained outside the political arena. Mayo Clinic and Cleveland Clinic represent the best of IDNs (Integrated Delivery Systems). Most healthcare in the U.S. is delivered by much smaller organizations. MC and CC easily are converted to a formal Accountable Care Organization and are being promoted as ideal models for quality of care, and reduced costs. Not all organizations have these full potentials. The expense and investment for smaller institutions may not have a return on investment nor demonstrate cost savings. According to a survery of 115 Hospital C-Level executives reveal that about 18% are participating in accountable care organization activities. This figure is increased from 5% % in 2012. 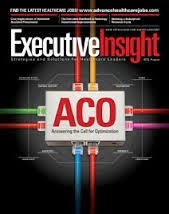 Half of respondents expect to be in an ACO by the end of 2014. Whether that lofty figure can be reached remains to be seen. Provider alliance Premier Inc. conducted the new survey in August but only recently released results. The spring 2012 survey found that nearly 52 percent of respondents expected to be in the ACO arena by the end of 2013. Now, Premier estimates only 23.5 percent will reach that goal. Non-rural hospitals are most likely to participate in an ACO, followed by hospitals in integrated delivery systems; and rural hospitals are least likely to participate, followed by standalone facilities. Large hospitals are moving more quickly toward ACOs than smaller ones, although the majority of surveyed hospitals are making infrastructure investments to manage population health. This may be effected by the availability of capital resources which are often lacking in smaller institutions, and a much smaller group of medical providers and/or a lack of specialty access. These investments include lifestyle and wellness coaching by more than 70 percent of respondents, telemedicine by almost half of rural facilities compared with one-third of non-rural hospitals, and patient-centered medical homes, which are popular for all types. The efforts include a wide variety of investments to increase utiilization of the ACO as a public health resource. * The investments include lifestyle and wellness coaching by more than 70 percent of respondents, telemedicine by almost half of rural facilities compared with one-third of non-rural hospitals, and patient-centered medical homes, which are popular for all types. * Fifty-one percent of responding hospitals are partnering with large local employers to improve care. * Large numbers of respondents are gearing up for analytics to support population health. More than 72 percent are integrating claims and clinical data, half are using predictive analytics to forecast needs and 46 percent are using a data warehouse to reduce information silos. * More than 40 percent are partnering with insurers, particularly for upside-only shared savings programs. The programs require strategic rethinking of hospital scope of care. The effort will require integration of previously unlinked services in preventive medicine, and health, wellness and nutrition. The full report from Premiere Inc can be found here. 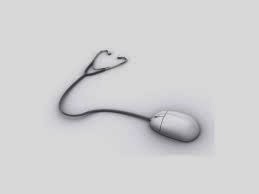 Access your Health Benefit Echange on the Web. 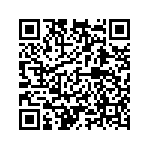 Register, if you want to (or can) Write down your user ID and password. It may not matter since your user id and password may not be saved in the system. Rather than using your SS number or case number they want you to make up a user id and/or password you will likely forget. Expect to receive a message the site is down, we want to help you try again later. blah, blah, blah. Once you are able to access the site the page loads will be irregular, very slow to load and may disconnect. Your best time to reach a site is between mindinte and 5 AM, however you also may receive "the site is down for maintenance'... try during our regular business hours. When you resort to calling. Set your telephone auto dialer and begin calling at five minutes before the exchanges open. I receive a message that my wait time would be 5 minutes....I waited 45 minutes. This was after ten attempts during regular business hours. If you do not call before ten minutes after the phones are on....forget it. Once I accessed a human being, things went very well. The agent was more than helpful and spent 30 minutes going over enrollment. In fact because my first attempt went so badly even with help I had to re-enroll in a different insurance company. Some of the least expensive plansl have very limited provider and hospital access. Because I am a retired MD I know many of the physicians that were listed as providers. The providers were often foreign medical graduates, spoke multiple languages, such as Vietnamese, Tagalag, Hindi, and Spanish. The FMGs were multicultural. Also most of the providers in Covered California were predominantly former Med-Cal providers and familiar with Medicaid patients and reimbursement. The printed subsidies were complicated and many times the subsidy rates made no sense for some policies. The best approach is to wait an receive your invoice, then call if you have a question. Be certain it is correct because once you pay your premium you are locked in for one year, except for life-changing events such as additon to famly, loss of employment and/or changes in income. The next entrollment period is October 2014. My advice is to not rush. Delaying enrollment will only mean your activation date is delayed a month. Spend a lot of time going over all your options for your income level. Search from high to low premiums to assess the differences, which can be subtle with deductibles, co pays for drugs and providers. Some have high co pays for medications. Plan on spending several hours to study it and assess your needs. The web site is very good for comparing how much medical care you use annually, and the number of prescription drugs you use. Now that my wife is enrolled I am relieved....15 years with her being uninsurable, with a very high copayment for her disability Medi-caid coverage was terrible, and inhumane. Regardless of the Affordable Care Act. having an insurance cared will NOT cure our problems. The ACA does not address accessibilty, uniformity of coverage, or qualty of care. Most of the law addresses insurance companies, and does nothing to relieve providers from a terrible and overriding responsibility for their patients with little help or cooperation from the bureaucrats. Media reports indicate there will be a serious and committed effort to make major amendment, additions to, or repeal the Act. Most responsible leaders who are not political idealogues are in favor of this course. Today I am amazed at an enthusiastic article about the Affordable Care Act by Eugene Robinson from Tallahassee.com. His unbridled enthusiasm in the face of many difficulties that have nothing to do with health care exemplifies those who designed this law and passed it without reading it. "Now that the fight over Obamacare is history, perhaps everyone can finally focus on making the program work the way it was designed. Or, preferably, better. The fight is history, you realize. Done. Finito. Yesterday’s news. Any existential threat to the Affordable Care Act ended with the popping of champagne corks as the new year arrived. That was when an estimated 6 million uninsured Americans received coverage through expanded Medicaid eligibility or the federal and state health insurance exchanges. Obamacare is now a fait accompli; nobody is going to take this coverage away." 1. The fight is not history, we are barely through round one and all the points go to the opponents of the ACA. 2. Six million Americans have not received coverage from the ACA. Registering is only the first step. It took me over ten hours of fumbling on the web site, and on hold via telephone. How many will be able to pay premiums by deadlines, or negotiate the difficult process of acquiring a provider. "There may be more huffing, puffing and symbolic attempts at repeal by Republicans in Congress. There may be continued resistance and sabotage by Republican governors and GOP-controlled state legislatures. But the whole context has changed." The upside of the ACA is that all previously uninsurable patients now are enrolled no matter what pre-existing condition they have A+++++. Can the ACA be improved? Most definitely. The argument should not be Republican against Democrat. Political party does not immunize one against illness. I wholly agree with Mr. Robinson's analysis regarding the eventual goal of a uniform health system. To call it universal care is a misnomer. "The real problem with the ACA, and let’s be honest, is that it doesn’t go far enough. The decision to work within the existing framework of private, for-profit insurance companies meant building a tremendously complicated new system that still doesn’t quite get the job done: Even if all the states were fully participating, only about 30 million of the 48 million uninsured would be covered. Obamacare does establish the principle that health care is a right, not a privilege — and that this is true not just for children, the elderly and the poor but for all Americans. This is a political and philosophical statement, not about health care. We need to keep these issues separate. I agree with him about the tenet that all people should have health care financing. Our first step should be to put on hold further mandates while the act is re-evaluated. Repeal is not an option, however amendment is a reality and not an 'existential' argument. Mr Robinson's article is not objective, nor unbiased. He totally neglects the weaknesses of the law which will require amendments. Placing the issue in terms of a 'battle' between political parties does disservice to dedicated professionals who have been in the system, and who were neglected during the planning process. Following the botched rollout of the affordable care act, people are dazed (perhaps a better term would be "shock and awed' by the limp and incompetent rush to open the exchange on time rather than do it right the first time. Having to do it over must have cost big time ! The good news for those of us who see the ACA as a mis-step toward uniform health care (note I did not call it Universal Health Care. An inadequate and poorly constructed Universal Payer Plan is not necessarily uniform. The very public event has opened the door for much discussion and now the time is ripe for changing the plan to something much better, less expensive and equitable, not designed to redistribute wealth. That is not what health care is about. Obama's plan is deceitful in most ways.. The only redistribution of wealth would be to insurers, big pharma, and the U.S. government at taxpayer expense. Freedom Works has just released a survey that you should look at and participate. This is your chance to participate with new ideas. Freedom Works is an organization now intent upon health reform and maintaining the underlying freedoms we as all Americans cherish. How will Freedom Works support our goals for health reform? Freedom Works not only is interested in health care, it also works across a wide variety of niches with a consistent underlying standard based on our most fundamental beliefs of freedom and constitutional law. An email arrived in my inbox from Freedom Works that i would share with all my readers, providers, patients, employees of our health system and leaders in Congress. This is your chance to weigh in on improving the Accountable Care Act. Take the Survey constructed by Freedom Works. We reviewed the 'best" Health Train Express posts of 2013 as measured by the number of comments and our analytics. There were many more 'favorites". The highest number of page views was in the category of the Affordable Care Act. This was to be expected, given the high ranking of the ACA for search engines. Visit the sites on Health Train Express for many more interesting topics. Health Train Express has archived our posts dating back to 2005. The focus of posts has changed over the years, and reveals the dynamism of health care and reform.